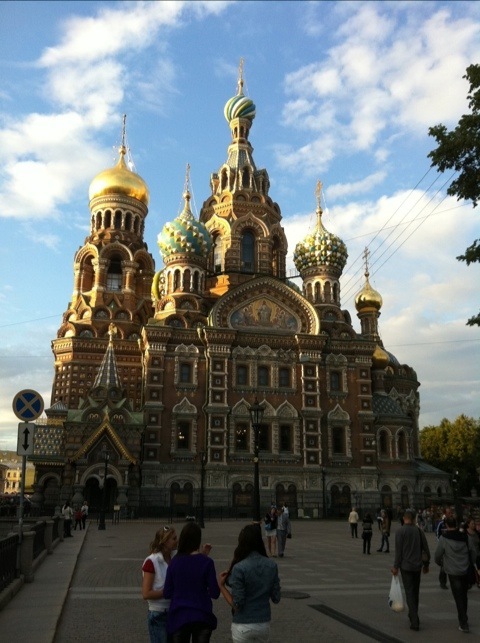 The first thing I noticed about St. Petersburg was that everything is a little further away than it appears to be. A combination of long, straight, broad avenues and buildings that mostly stick to a six-storey limit help the horizon to extend towards vanishing point. However, there’s also a matter of scale: everything here seems to be built about 10-15 percent bigger than I’m used to. That building over there isn’t small, it’s just far away. The result, for someone like me who likes to walk around a lot, has been some extended strolls on this, my first day here. Luckily, I also have a habit of showing up where I mean to be several minutes early. Which means, all things being equal, this has also been a day of strange hyper-punctuality.